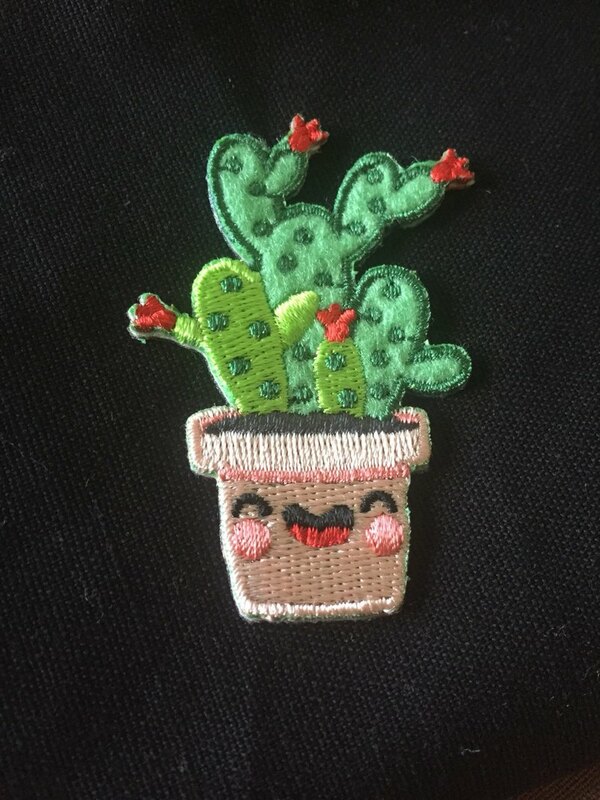 The healing cactus series is the newest in the Houhou-Tricks embroidered patch series!! The healing cactus series is the newest in the Houhou-Tricks embroidered patch series!! Cactus is the cutest plant in the desert. The body of the meat has a lot of water, so Houhou-Tricks uses non-woven fabrics and delicate embroidery threads to express the vivid posture and expression of the cactus. This cloth is deliberately done. More big, let everyone see the cute cactus can be cured!! ●Style and size Smiling Thorn Cactus / 6.6 x 3.4 cm A lot of happiness / 5.8 x 4.4 cm Fat Baby Cactus / 6 x 3.7 cm Smile Mimi Cactus / 6.4 x 4.4 cm Good mood cactus / 5.9 x 4.6 cm ●Scope of application Do card / patchwork or clothing decoration Cloth products and non-cloth items can be used directly. ● More sturdy steps in the cloth category: Step1: Preheat the iron to the applicable temperature (about 100-130 degrees) Step2: After the back glue, stick your appliqué to your favorite position. Step3: Cover the patch with the embroidered cloth. Step4: Iron on the cloth back and forth for about 30-60 seconds. Step5: Confirm that the appliqué is firm. This is done!